The No. 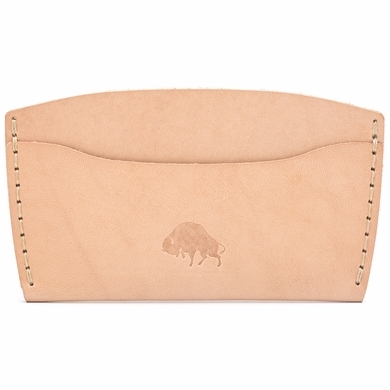 3 is a card case wallet that features 3 pockets to organize your cash, credit cards and business cards. The tapered shape allows you to expand the large middle pocket; get free and easy access with a pinch. Keep everything together in style when the basics are all you need. Take pride when carrying this statement of craftsmanship in knowing it was constructed with the quality and attention to detail practiced by past generations. � 4. 5" x 2. 5"